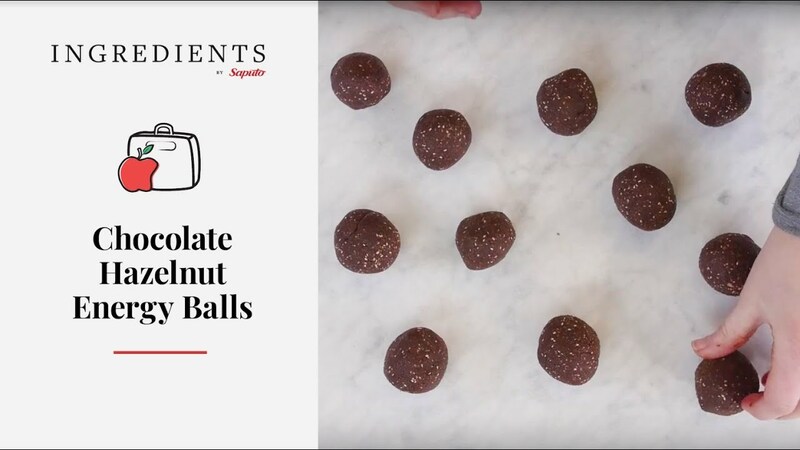 To avoid getting “hangry,” take along these yummy energy balls as an easy and nutritious on-the-go snack. In food processor, pulse dates, scraping down sides of bowl as needed, until dates start to come together into ball. Add hazelnuts, oats, coconut, cocoa powder, chia seeds, International Delight coffee whitener Fat Free Hazelnut flavour, coconut oil and salt; pulse until combined. Firmly press mixture into an even 8-inch square on a parchment paper-lined baking sheet. Cover and refrigerate at least 1 hour or overnight. Cut into 18 equal pieces and roll into balls. Store refrigerated in airtight container up to 1 week. - Add 1/4 cup (60 mL) chopped dried cranberries for added flavour. - Store the balls in an airtight container in the fridge for up to a week for a firmer texture.